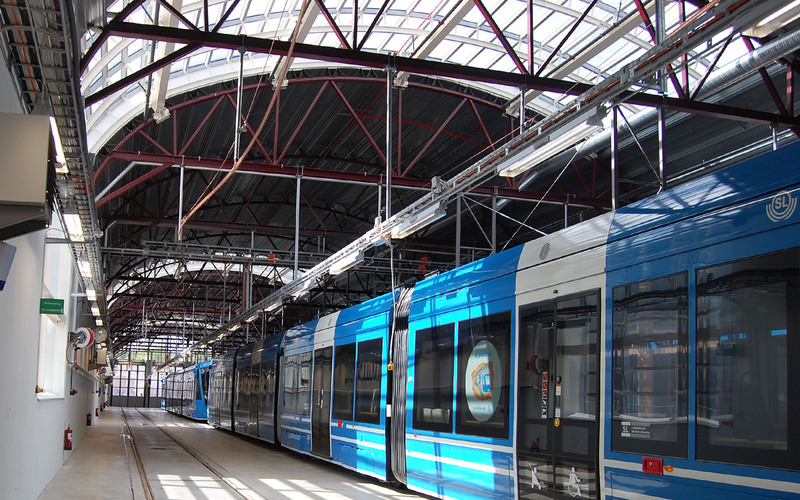 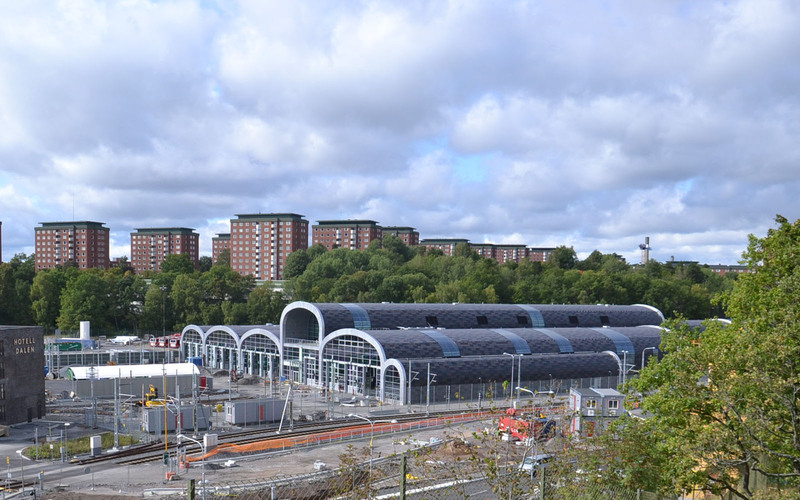 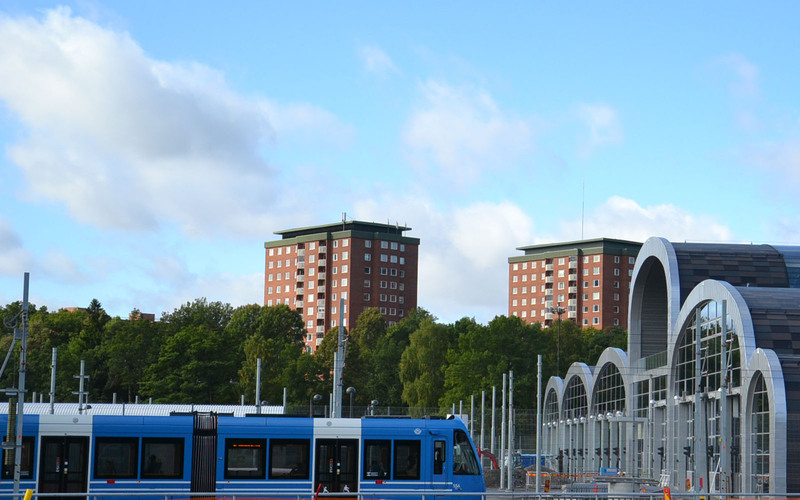 The tram depot at Aga, Lidingö, is a part of a Stockholm public transport project aiming to connect the existing Lidingö tramway with the new tramway system being constructed in Stockholm city. 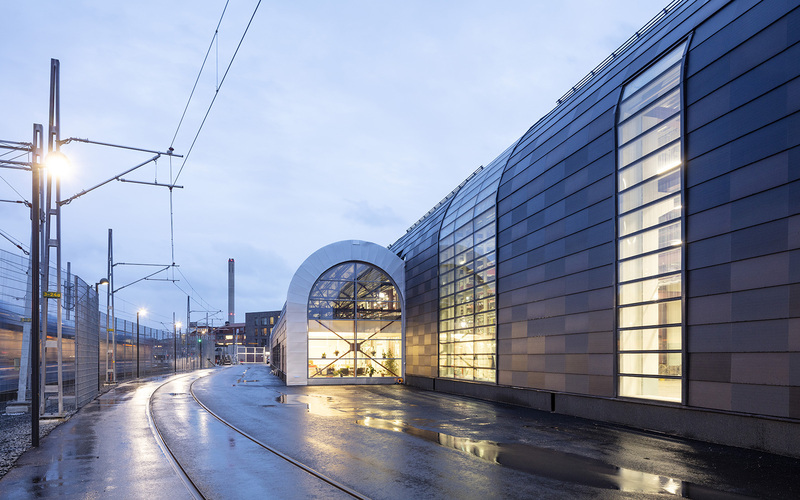 &Rundquist’s design of the buildings’ exteriors creates a roof landscape which easily adjusts to the buildings’ inner functions. 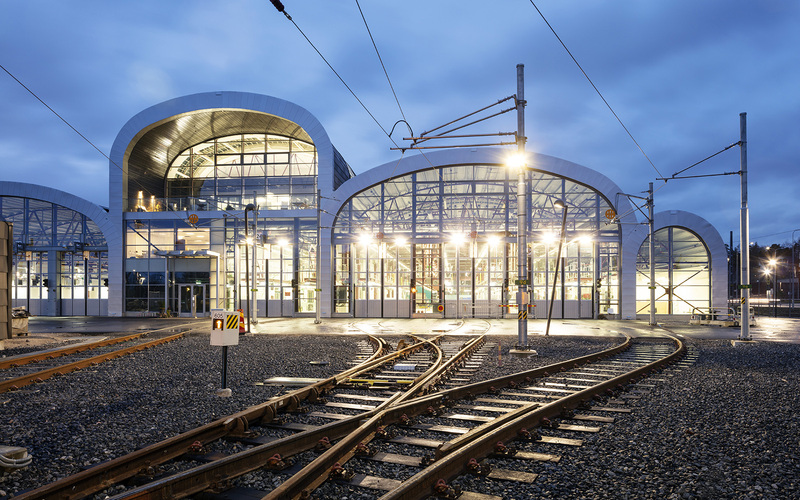 The proposal for the depot has been processed from design concept to project planning document in collaboration with BBH Architects and Engineers. 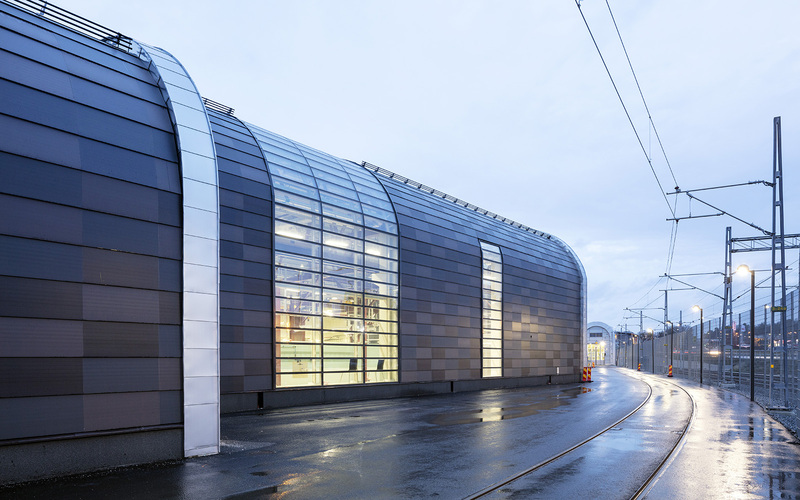 Coordinated with Lidingös’ detailed developement plan, the proposal was made ready for exhibition in the spring of 2012. 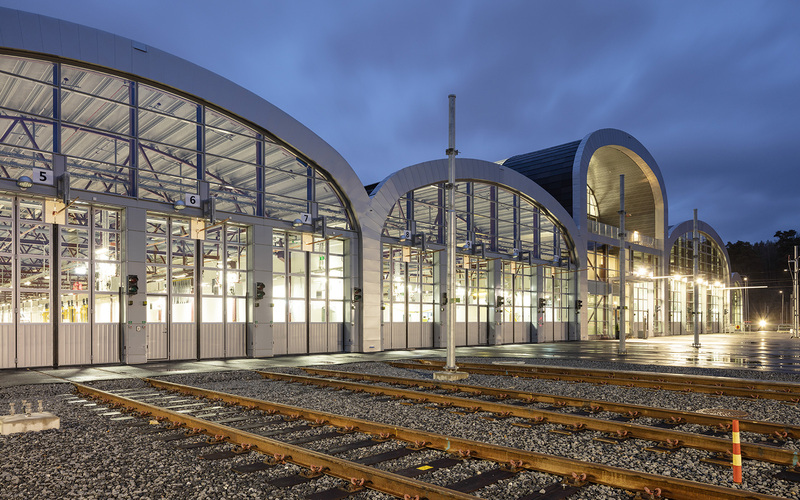 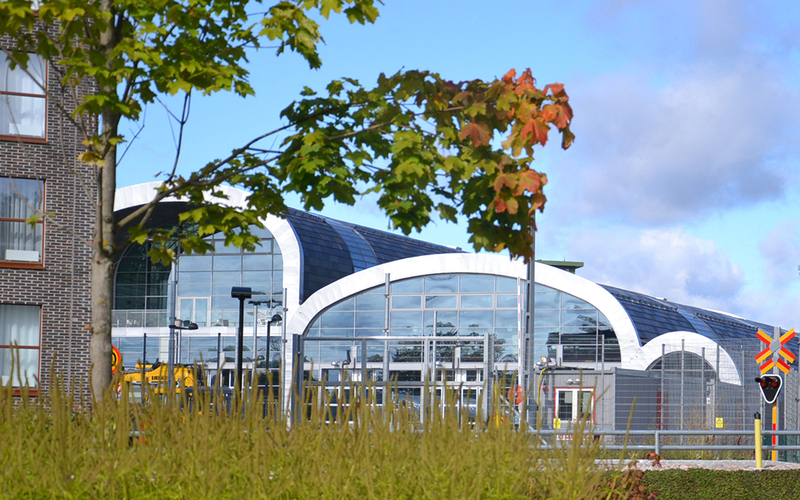 Construction planning of the depot has subsequently been carried out by BBH Arkitektur & Teknik, the depot was completed in 2018.